Event Description : MUSIC "With Love, India" Concert by The Capital City Minstrels, Delhi’s iconic choir. The repertoire includes music by Indian composers or choral music inspired by classical Hindustani and Carnatic traditions, some popular Bollywood tunes arranged for choirs, traditional Indian folk and international musicians who have been influenced by Indian instruments and music. Conducted by Lindsay Ross Boyd. About Capital City Minstrels : CCM was founded in 1994 and since then has performed over 300 concerts in India and abroad. In June 2008, the choir undertook a very successful European concert tour to Hungary, Germany and France. 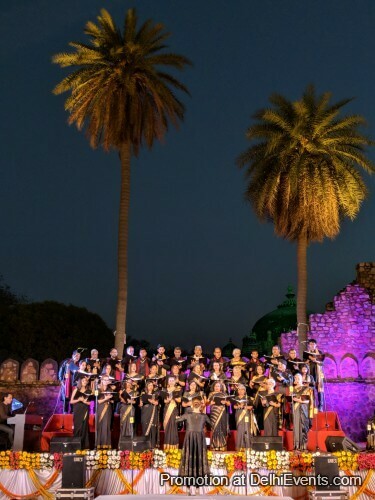 In January 2013, CCM was the first Delhi choir to be selected to perform at the Monte Music Festival in Goa. His Excellency, The Lt. Governor of Goa requested a special performance at his official residence as well.